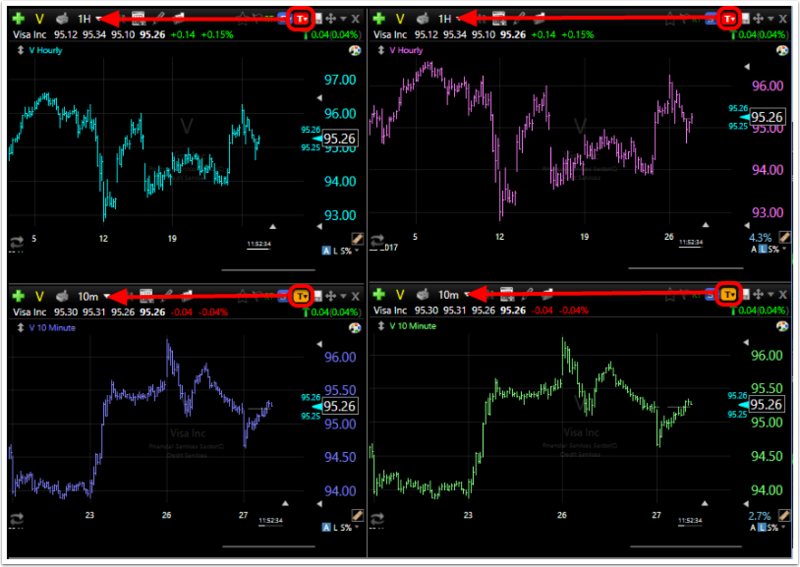 Timeframe linking only applies to charts. 1. 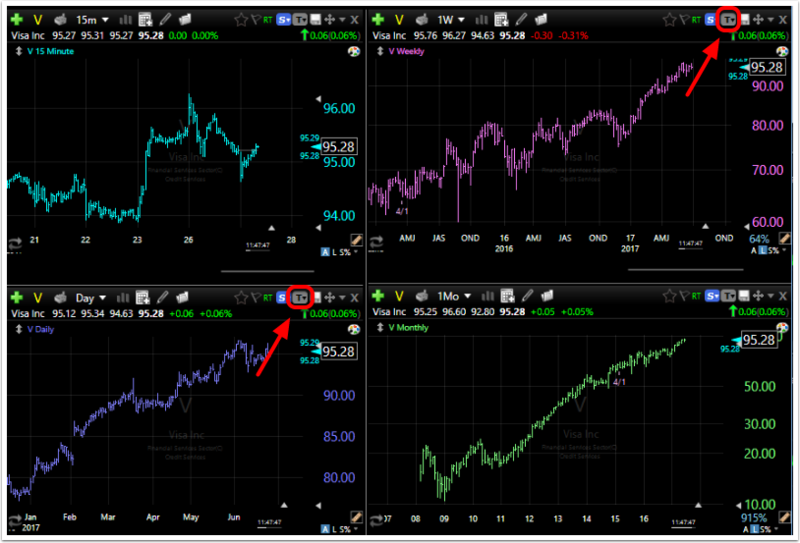 By default charts in TC2000 are not linked by timeframe. 2. 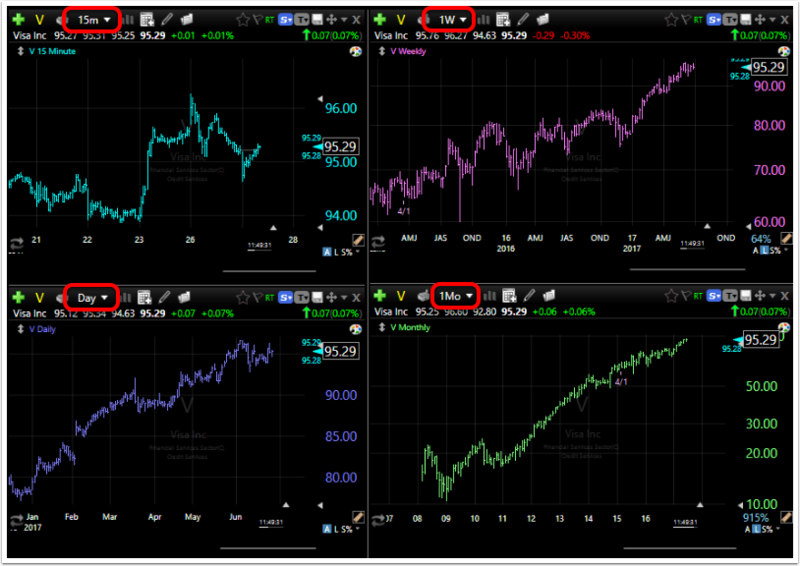 This means the Timeframe is unique to each chart and is not linked to anything. 3. 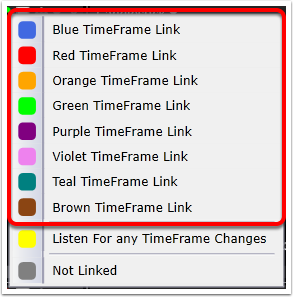 To change this behavior, set your charts to different Timeframe linking color groups. There are eight groups to choose from. 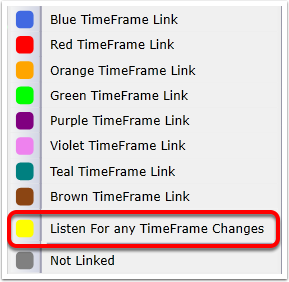 If you choose yellow this chart will change when any timeframe is changed. 4. 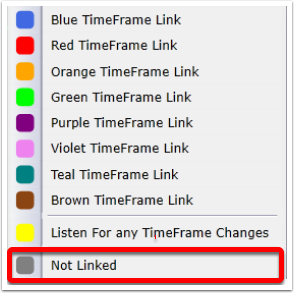 Changing the timeframe on a chart within a color group will change the timeframes on all other charts within that group.